Eli of U-KISS shared how revealing his love life to the public effected his career as an idol. On the recent episode of Mr. House Husband, Eli and the rest of the panelist talked about their tough times. One of the guest members Kim Seung Woo started the discussion and talked about his debut in the film The General’s Son. However, he faced a difficult time when he couldn’t get a role for the sequel. Due to his desire to stay in the industry, he took any role available and eventually joined the costume department. Eli joined in the conversation and talked about the difficulties he faced as an idol when he made his love life public. Explaining why so many idols choose to keep their love life a secret from the public. Eli talked about how getting married effected his work. 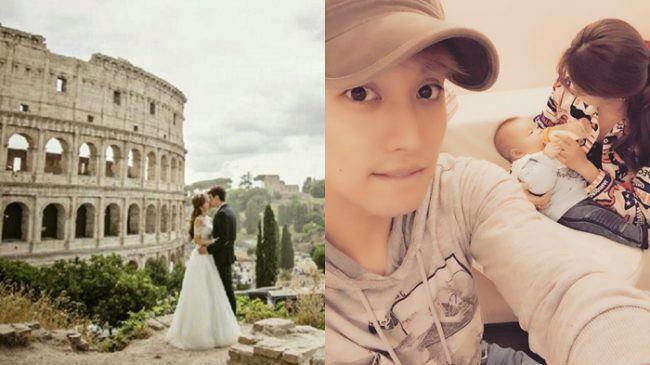 Back in December 2015, Eli surprised fans when he announced that he was marrying his girlfriend after dating for five years. By June the following year, Eli’s wife gave birth to their son, Michael.